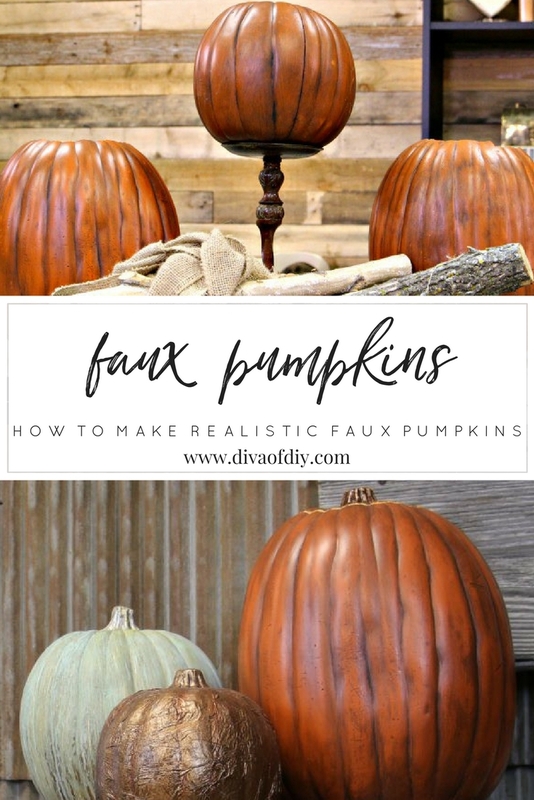 I love the versatility of a faux pumpkin. What’s not to like? They aren’t messy; they come in multiple colors and sizes and they can be reused from year to year. The answer to that question…THEY LOOK FAKE! Step 1) Mix up the Aging Glaze. You are making a wash by watering down the acrylic paint. Step 2) Brush on the wash with a chip brush to 1/3 of the pumpkin. 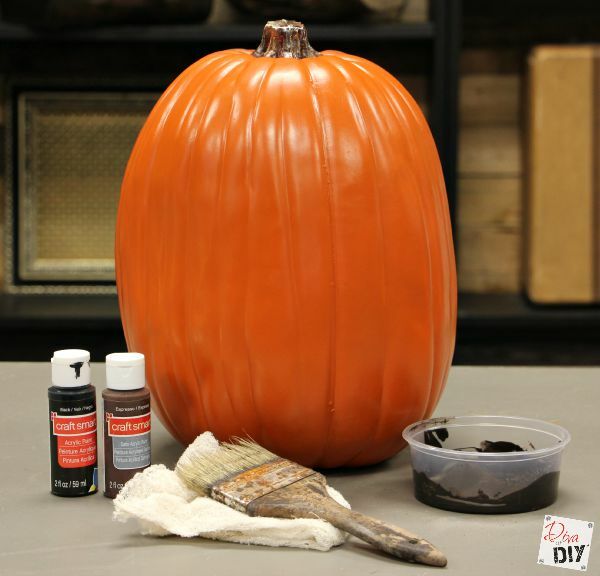 Step 3) Dab the pumpkin with cheesecloth or soft rag to wipe off part of the paint and soften the look. Step 4) Repeat the steps doing 1/3 of the pumpkin at a time until pumpkin is covered. 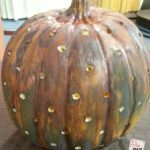 Step 5) Put the final touches on the faux pumpkin by dabbing the wash until your pumpkin is how you like it. 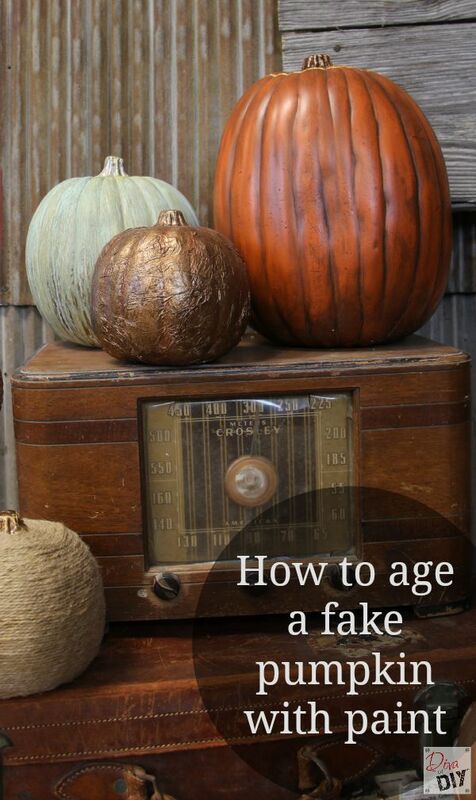 This video will teach you how to take a fake pumpkin and make it look like you just picked it up from the pumpkin patch. Seriously??? That is it! 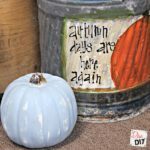 So glaze away…you can also glaze the white fake pumpkins too! 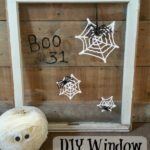 The best part is…you can set these faux pumpkins out in September and keep them out through Thanksgiving. Are they a little more expensive? Yes but you will have them for years to come.